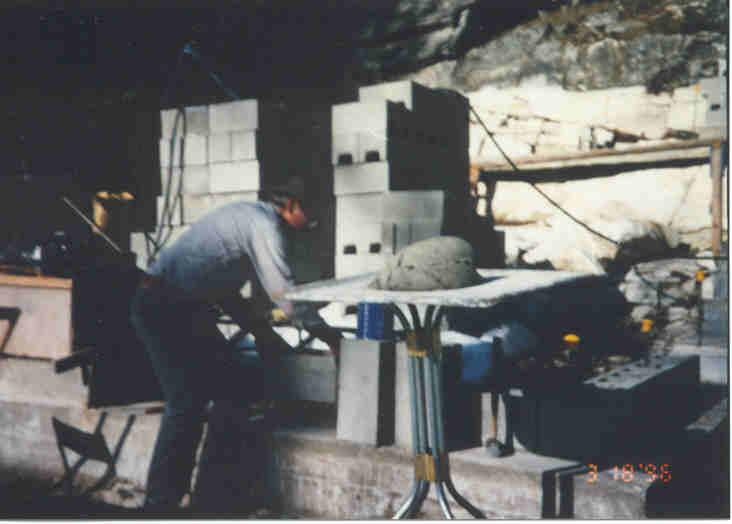 The major projects for 1996 were to finish stockpiling concrete blocks and rebar, building the foundation, buying logs, and getting the septic system installed. 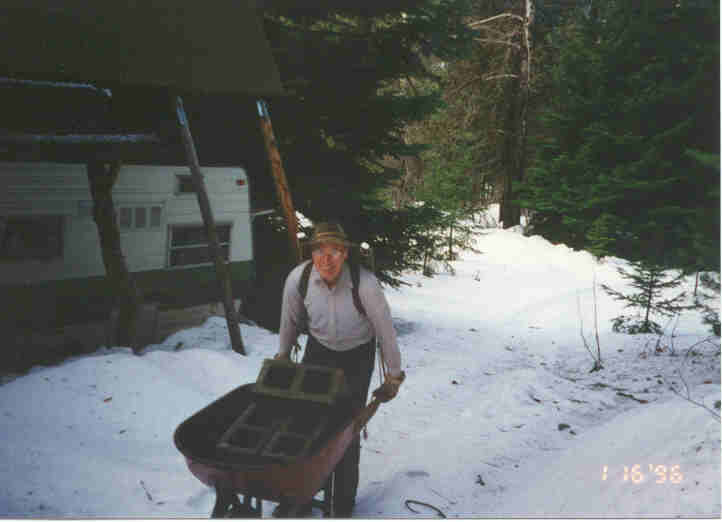 Here I am continuing to haul blocks to the site but using the wheelbarrow makes it easier than the backpack. 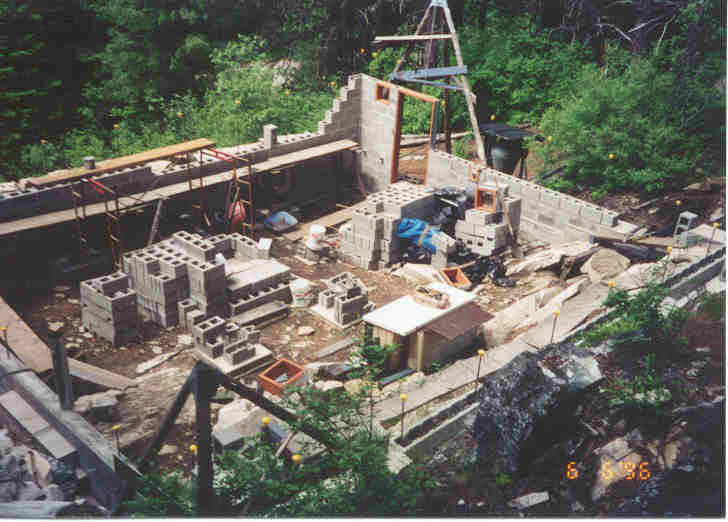 As soon as the weather permitted, I went back to work laying up the foundation. I was able to drive the pickup up past the building with loads of sand and gravel. 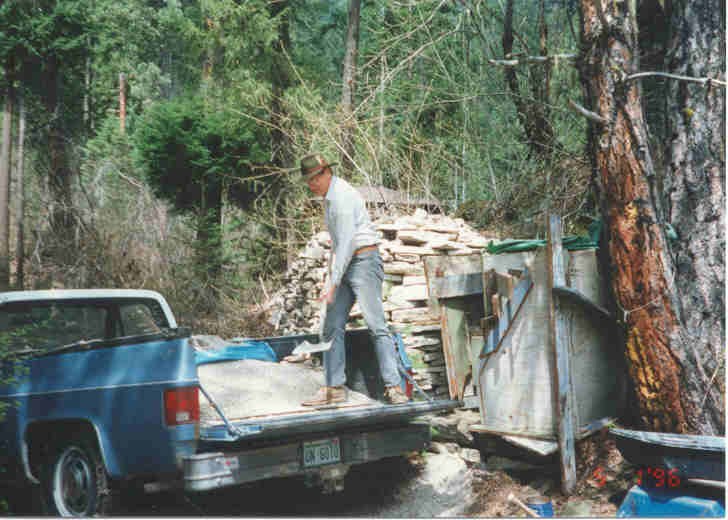 Here I am unloading mortar sand into the bin between the double tree and the rockpile. 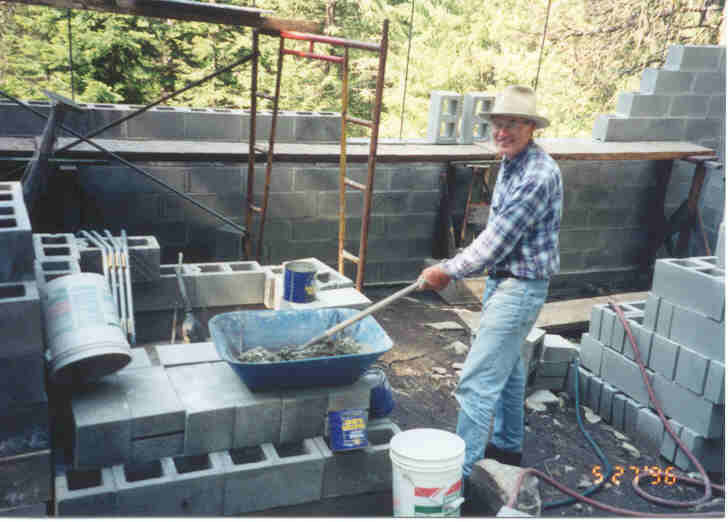 Having fun mixing mortar and laying up blocks. ©2003-2019 Paul R. Martin, All rights reserved.